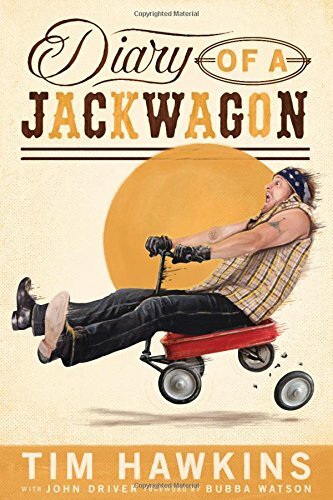 Sometimes, I feel like I’m on a never-ending quest to find a book written by a comedian that is actually as funny as it claims to be. I’ve tried with Tim Allen, Seinfeld, Demetri Martin, Stephen Colbert, Jim Gaffigan, and others. I’ve even tried Christian comedians, comedians who happen to be Christians, or whatever the title du jour happens to be right now. All of them have left me shrugging with a sly, half-smile at best, wondering if it’s possible to ever find this book, which appears to be as rare as a leprechaun riding a unicorn sliding down a rainbow into a pot of gold that belongs to Scrooge McDuck. See, that would have been funny if I said it out loud (I promise). Written? Not so much. Anyway, I’m not going to overanalyze this. It’s not exactly a tremendous burden to bear. So what, right? I don’t find so-called humor books funny – even when written by stand-up comedians who make me laugh. But I try again. This time, it’s Tim Hawkins. If you’re scratching your head and scrunching up your face, don’t worry, I wasn’t familiar with him either. I had heard the name and there are a lot of YouTube videos with pieces of his stand-up show, but I went into the book with a clean slate. Please make me laugh. Pretty please. Short answer: no, not really. I did smile and quietly chuckle a couple times, but no ab workout here. Not for me.